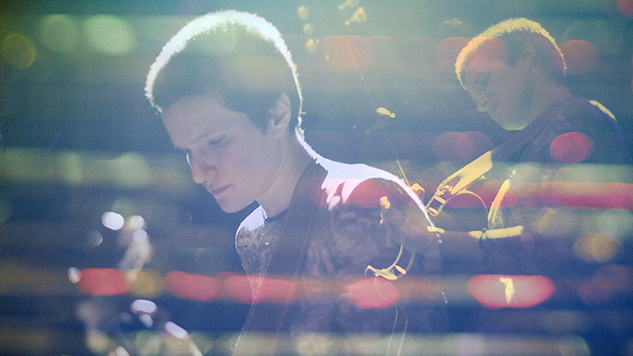 Big Thief at Bowery Ballroom, New York, NY, 1/7/2016. Big Thief and Sharon Van Etten at Bowery Ballroom, New York, NY, 1/7/2016. New Saddle Creek recruits Big Thief easily snatched a top-10 slot on Paste’s Best New Bands of 2016 roster, with writer Adrien Spinelli lauding last May’s Masterpiece as one of the year’s “strongest debut records.” Vocalist Adrianne Lenker walks a thin line between vulnerable and buoyant; the title track pounds on reverb-drenched major chords amongst Lenker’s accusation, “You saw the masterpiece/She looks a lot like me.” Hell hath no fury like a singer-song writer with an overdriven guitar. The Brooklyn quartet hosted a homecoming last Saturday at a sold-out Bowery Ballroom gig, where Sharon Van Etten helped close the show on the aforementioned track. Photographer Drew Reynolds caught the soulful night in the gallery above.